Blue, Pink, Purple or White flowers. In perfume bottles with flower-shaped stoppers, a variant is known where the stopper has a thick covering of gold over the base colour. 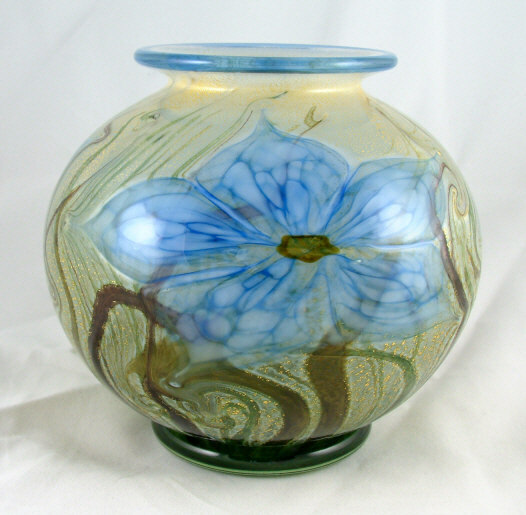 Round lipped vase, 13 cm diameter. This shape was also produced in 18 and 24 cm diameters. 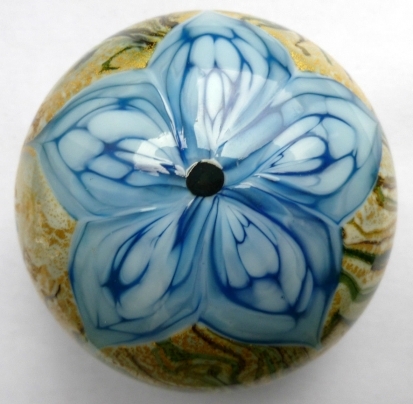 Globe paperweight, 7.5 cm in diameter. Round perfume bottle, 6.5 cm diameter, signed 'Timothy Harris I O W G England 2001'. 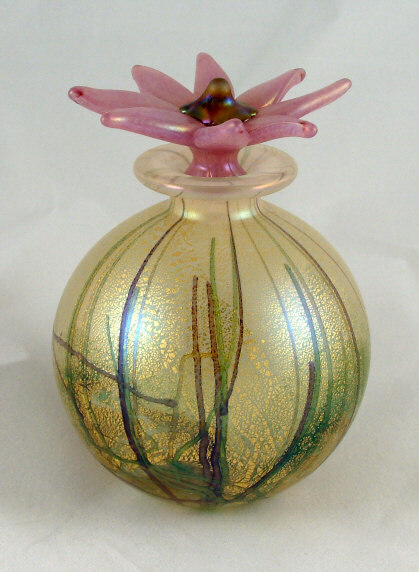 These perfume bottles were also available in 8 and 10 cm diameter sizes. 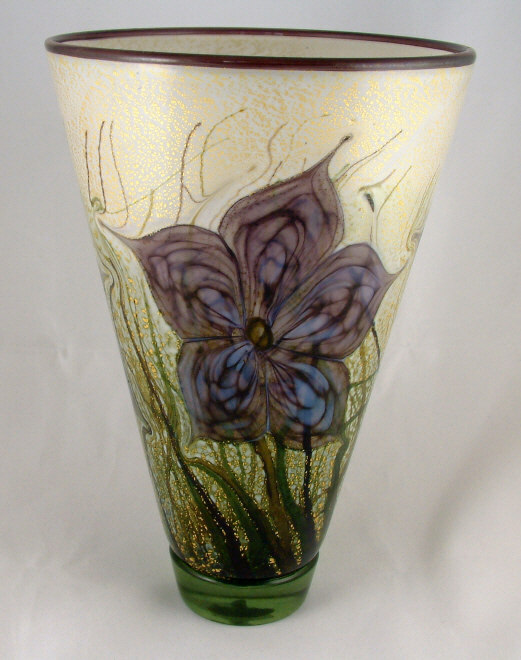 This is the larger of two sizes of conical vase at 25 cm high and 17.5 cm diameter at the top. 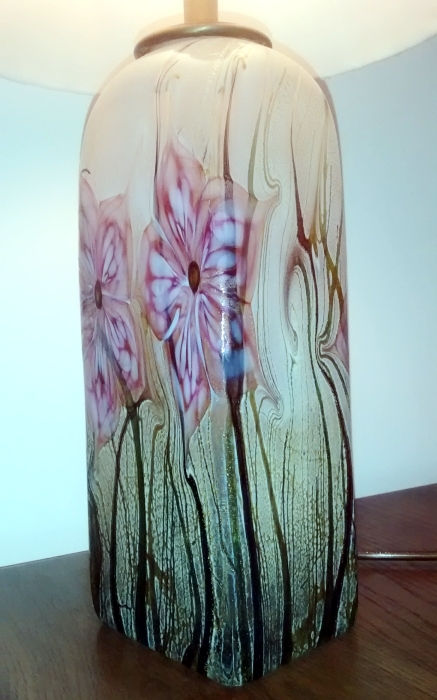 The smaller is 16 cm high.